Here is your new Quick Chek Coupon for the week. 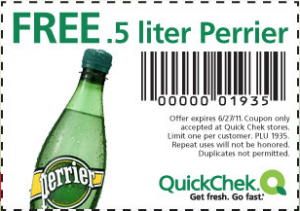 You can get a Free .5 Liter of Perrier Water! Coupon is good through 6/27/11.